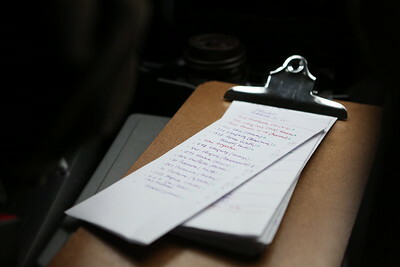 Michael Rover's clipboard, with the list of house calls to make throughout the day. 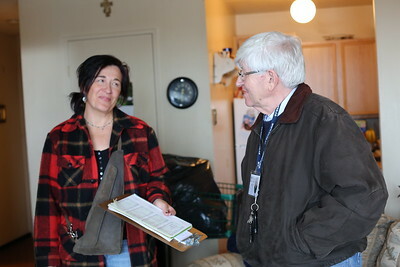 Marilynn Harcus thanks Michael Rovers for helping her move into a new apartment. 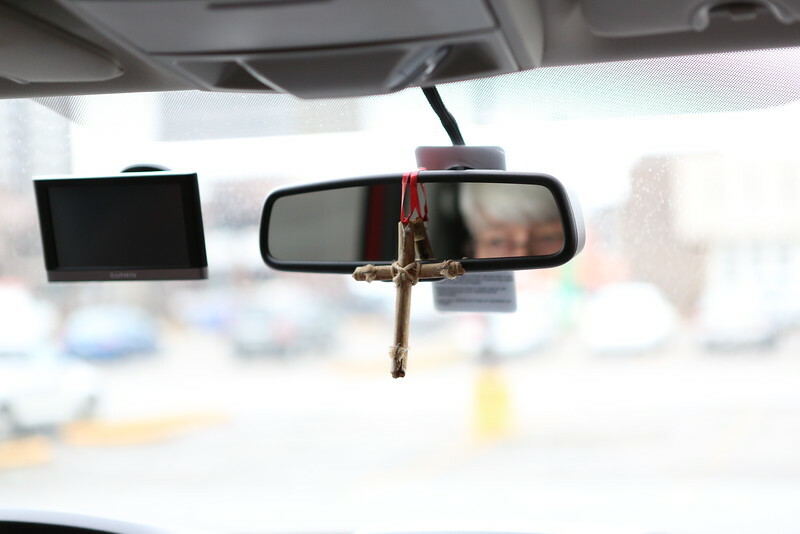 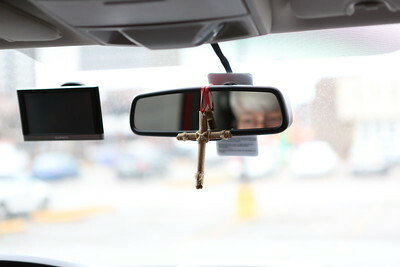 A cross hangs from Michael Rover's rear-view mirror, as he travels the city making house calls. 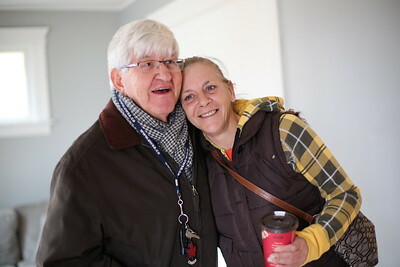 Karen Morand and Michael Rovers share a laugh while making a house call to a client. 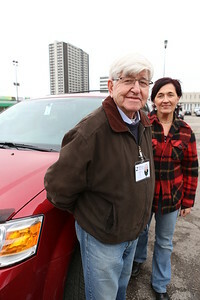 Michael Rovers arranges the delivery of some furniture to new Windsor resident, Richard Ross. 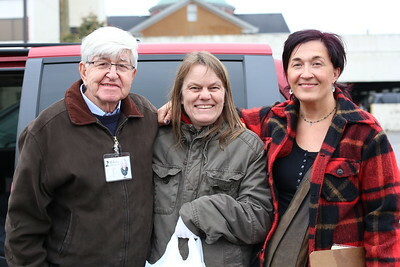 Michael Rovers and Karen Morand pose with Sheri Elliott, a past client of 2nd Chance Ministry. 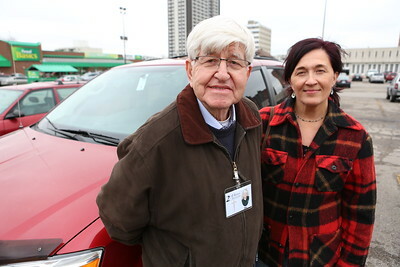 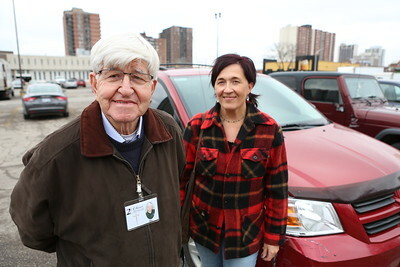 Michael Rovers and Karen Morand driving to their next house call. 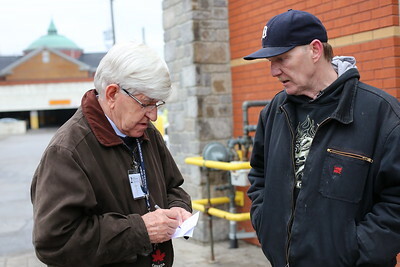 Michael Rovers offers some advice to Deanna Grieves on managing some of her bills. 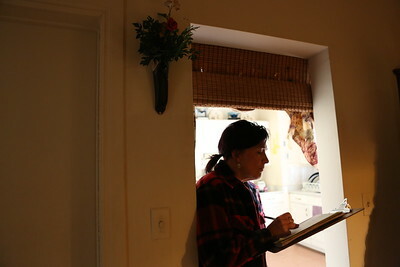 Karen Morand fills out receipts for the grocery gift cards they give out to clients. 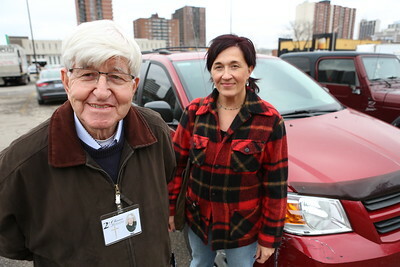 Michael Rovers and Karen Morand of 2nd Chance Ministry.